A Classified Listening Session will be held on Thursday, Apr. 18, from 4 p.m. to 5 p.m. at Lincoln Street Elementary School. All classified staff are welcome and invited to attend. On March 1st, Olga Acuña, HSD Director of Federal Programs was selected as Centuro Cultural's 2019 Community Lider Honoree at the Gala de Cultura annual fundraiser. Olga has made profound contributions to the Latinx community as an educator, mentor, advocate, elected official and long-term valued partner of Centro’s familia. A model of educational leadership and public service, Olga has been the outspoken advocate for students. Congratulations and well done Olga! Photo: Olga Acuña with Hillsboro Mayor Steve Callway. October 26, 2018 - Congratulations are in order for Brian Pendergrass who teaches Biology, Physics, and Bio-science at Hilhi. Brian was recognized by The Timbers and Safeway for making a big difference in the lives of students. He was nominated by community member, Elisa Joy Payne, who saw Brian’s constant dedication in creating bio-science technology career pathways for his students. Well done Brian! See more photos - click here. October 12, 2018 - Shown here attending an Amidon workshop where they learned folk dancing and story telling for the music classroom. Left to right back row: Lyndsey Sherman - Free Orchards, Susan Penrod - Indian Hills, Carmen Stuve - Butternut Creek, Kayse Durgan - Witch Hazel, Kristin Lebreau - Brookwood. Left to right front row: Amber Young - Lenox, Lana Pratt - Ladd Acres, Brian Janssen - North Plains. October 1, 2018 - In September, Century High School art teacher Rebecca Buchanan was one of twelve artists recognized by Artists & Mentors in a group exhibition at The Painting Center in New York City. Golden Artist Colors began working with the Alliance for Young Artists & Writers nearly five years ago with an objective to recognize and showcase the talent of artists across the US who have also been recognized as mentors of their students – youth who recently received awards through Scholastic Art & Writing Awards. Annually since 2015, GOLDEN has supported the opportunity for three visual arts educators – chosen in conjunction with the Alliance and the National Art Education Association – to take part in a two-week residency at the Sam & Adele Golden Foundation Residency Barn, located just down the road from Golden Artist Colors in upstate New York. These twelve artists recognized in Artists & Mentors are some of the best of the best amongst art teachers in the US. Artists featured in the exhibition. >> Read more >>See her painting (top right). See KATU2 Feature video above or click here to read full story. 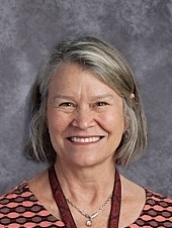 July 9, 2018 - Congratulations are in order for Sharon Angal, teacher at Quatama Elementary School, for winning a Presidential Award for Excellence in Mathematics and Science Teaching (PAEMST). The PAEMST is the highest recognition available for K-12 math and science teachers in the United States. 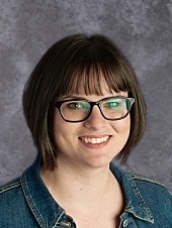 Angal was nominated for the prestigious award by her colleague Sandie Grinnell, herself a science specialist, back in 2016 when she was serving as a STEM Integration teacher on special assignment (TOSA) at both Quatama and Tobias Elementary Schools. However, because the award alternates each year between K-6 and 7-12 teachers, and because the process is so intensive – involving letters of recommendation, narrative response demonstrating mastery of the Five Dimensions of Teaching and Learning, supplemental materials, videotaped classroom lessons, and both state- and national-level reviews – she did not actually receive the award until June 26 of this year. As a PAEMST recipient, Angal was flown to Washington, D.C. to for the award ceremony and to participate in discussions on STEM and STEM education priorities led by the White House Office of Science and Technology Policy (OSTP) and the National Science Foundation (NSF). She earned a $10,000 award from NSF as well as a presidential citation. Read more about Angal here. Read more about the PAEMST here. Each month Jumpstart.org features innovative and dedicated educators and the work they do in classrooms across the country to make #afinlitfuture a reality. 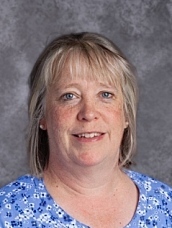 Contact Heather McElrath with any questions or to suggest an outstanding teacher. State Financial Education Requirement: Oregon does not require a personal finance course. However, Eric shared that there are some personal finance or financial education standards embedded in the social studies curriculum. Why Personal Finance: For Eric, personal finance is a personal passion. He said he came from “the school of hard knocks,” and once the opportunity to teach the class came up, he advocated for himself to be the one leading. At the time only one semester of personal finance was available – today, there are seven, which represents three-fourths of his time. The class grew because Eric said, “all the kids want to take it.” He teases that it’s his teaching style that helped the class grow, that current students tell others and his classes fill up. But, Eric also says, that the students feel connected to the material. They are looking for a real-world connection, and, unlike many of the classes they take, they see the relevance of lessons on W2s, car insurance and even renters insurance, which they understand they will need once they leave home. Why Teaching: While teaching currently is Eric’s second career, it was originally his first choice. His mother was a teacher as was his grandmother, who taught in a one-room school in South Dakota. So, in part teaching was in his blood, but Eric also said he wanted “something that was active; that helped people.” And where he didn’t have to wear a suit and tie. As with many things, life happened and his original educational pursuits changed. When, in his mid-30s, Eric got a divorce, he went back to school for his masters – and as he said: “things just started falling into place.” He had one interview – before he even finished his masters – and 16 years later is still at the same school. Resources: This year’s National Educator Conference in Washington, D.C., was Eric’s third, and he hopes to make it an annual event – he said the networking and resources help him in his classes. However, like many teachers, he pulls resources from m=numerous areas. When he first started, Eric said, he was leery of using some of the available resources, but today they are so reliable and abundant. He uses, among other resources the Jump$tart Clearinghouse to help filter some of the choices. And one of the things he likes about all of the choices is that he doesn’t have to reinvent the wheel. Compound interest is the eighth wonder of the world. He who understands it, earns it ... he who doesn't ... pays it. Compound interest is the most powerful force in the universe. Compound interest is the greatest mathematical discovery of all time. Those words from Einstein, hang on Eric’s classroom wall and greet his students each day. It’s perfectly fitting because, for Eric, the foundation of his lessons build upon compound interest. He stresses to his students that “if other people have their name on your money it’s gone. Our biggest wealth-building tool is our income.” And by not paying compound interest to others – in the form of debt “you can hold onto your money and invest and earn compound interest.” To do this, Eric focuses on retirement accounts. He wants his students to create a tax umbrella first and then to understand how the stock market works as well as learn to appreciate their own risk tolerance. While the markets fluctuate and can take a negative turn, Eric shares that after every negative event (except Pearl Harbor) the market returns in one year. And even after 9/11, the market, which immediately crashed, returned to September 10 levels in 59 days. “It’s not a straight line, but ultimately it goes in the right direction,” Eric said. And that “right direction” helps him and his students compound their savings. God bless Shakespeare. God bless the trombone. God bless the Pythagorean Theorem. God bless photosynthesis. God bless the opera. To drive the point home, Eric opened a 403(b) that he shares with his class. (It’s a second account he calls his Glencoe 403(b) that doesn’t divulge too much personal information.) In sharing the account information with his students, he wants them to know that when they are his age “they can be rich; it’s nothing more than mathematics,” he said. Of course, it also means that a student has to say no to things. But by showing the students the ‘end’ result it helps them understand the impact of their choices. Eric said he “wants kids to know they have choices – even if the choices are difficult.” He wants them to know they can be successful. He also wants his students to stay debt free and be very aware of the dangers of debt. With so many students – and each one’s personality – Eric varies the tools he uses in class. Often, it also can depend on what the students want to learn. In some classes he uses videos, in others PowerPoints, others games – it all depends on where the class goes. Eric says he benefits from designing his own curriculum so that he can adjust to the students’ needs. While it was a number of years ago during his divorce, Eric said he was one of the 7 in 10 Americans living paycheck to paycheck. He shares that debt held him back at one point. However, for the last 20 years, he has been debt free – a personal platform of his that people should be consumer debt free. Eric believes, however, that even if you find yourself in debt, it’s not permanent. He’s teaching his students to avoid debt, but he’s also teaching them that it’s something you can “climb out of; it’s not something that you’re going to be in forever.” He truly wants people to earn compound interest rather than pay it. 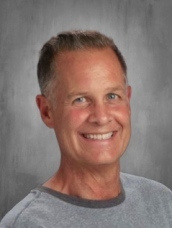 February 23, 2018, Hillsboro, OR – Jeff Gower, an options and proficiency based learning teacher at Century High School, has been nominated for the 2017-2018 national LifeChanger of the Year award. Gower was nominated by his principal, Martha Guise. In his role, he manages over 300 students during the school year in the Options program, which is made up of online, offline and proficiency-based learning classes that give students many options to graduate. Gower works with content area advisors who approve strong standards for the program. He holds classes every day, creating a quiet learning environment and building trusting relationships with the students he sees. This year, with additional supports, he helped interview and select several staff members to grow that student outreach and engage more students in getting support in academics, attendance and self-advocacy. "I have known Jeff Gower for 20 years. I know his kids and spouse, and I have worked with him as a teacher, assistant principal, and as the principal of Century High School," Guise said. "There are very few people in this profession with as true a heart for teaching and students as Jeff. I am deeply honored to work with an educator of his caliber." 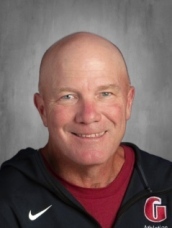 To view Mr. Gower’s LifeChanger of the Year nominee profile, or to nominate someone from your school community, visit www.LifeChangeroftheYear.com.